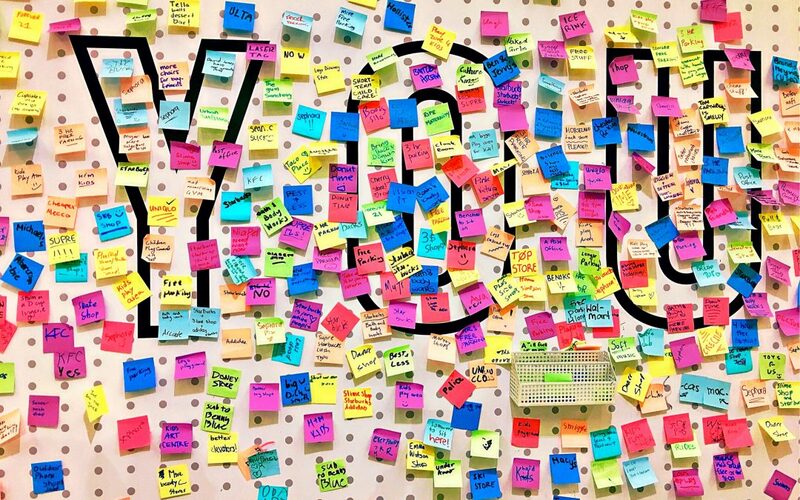 Are you one of those people who has a never ending stream of business or project ideas? ME TOO! But I’ve had to learn to control the crazy ideas over time, and here’s why. Let’s talk about how my brain works. I have a TON of ideas. Like, daily. My husband must be sick of my ideas. Not only do I have new ideas for No Bull Business School but I also have ideas for everything. An indoor zen garden, a cool healthy local cafe, a tracksuit clothing line, a business school for kids. Honestly, sometimes I wish it would stop and allow me to focus. I wonder if one day when I’m old and it’s my time to go I will be sad, lying in regret, thinking about my tracksuit line that never was. There are three things I’ve learnt about having a lot of ideas. A lot of ideas can make you seem very scatty. People see your non-stop ideation as a ‘lack of focus’ on your current project. I get that actually. If I was investing in someone I’d want to know they were wholeheartedly committed to ONE IDEA. With this in mind, as excited as you are, maybe don’t discuss every single ideas with your friends and family. Keep a notebook with them all written down. When the time comes, you can do an in depth analysis on these ideas. Which ones are to fulfil something personally but probably don’t make business sense? Which one is scalable? Which one would someone invest in and why? Learn when to stop. When you run a business, like, PROPERLY, not just as a hobby, and you have team members relying on you to pay their rent, you often have to make very hard decisions about where you put your time and money. So often things comes back to ‘will this actually affect our bottom line?’. If it doesn’t, it’ll often be put to lower down on the priority list. Because as we all know, none of us have a business without cash flow and constant sales. Each year there can only be room for one or two experimental projects that may not bring in any income for a while, but that’s another blog post entirely. Stop and focus on what is going to affect your bottom line. Do that first. Sorry if this has seemed a somewhat negative post, I know how exciting it is to have ideas. I could literally spout ideas all day long and nothing beats the rush of telling someone your new found business ideas that is just going to change the world, I get it. Just remember the bigger picture. The bigger you can grow your business, the more sales you can make, the more it’ll allow you the headspace, time and cash flow to try a new thing. So actually curbing your ideas a little bit could actually be the way to properly fulfil them in the end. I’d love to hear your thoughts in the comments below. Are you an ideas person like me? Have you learnt anything from this? Thanks for this Sarah, it was a very timely blog post for me as I’m feeling both inspired and scattered at the moment! After reading this I’ve realised it’s not actually the ideas themselves that are the problem but how I respond to them – if I start considering them all as possible and act on that it’s overwhelming and unrealistic. I’m definitely going to start writing down my ideas so that when I have time I can look back at them and see what’s actually useful and what was just my mind going a bit OTT! haha can be overwhelming sometimes! 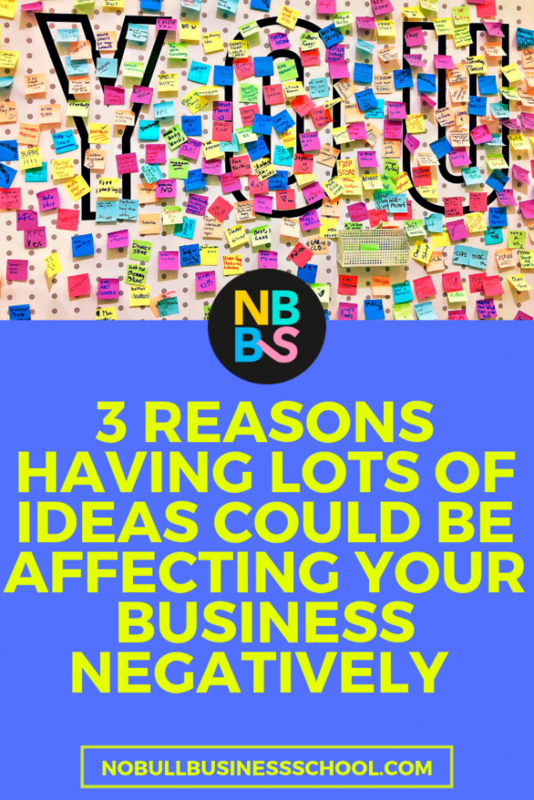 Glad this post has helped you and you can find a way to keep on top of those ideas!